​When you're getting worked by the Chiefs and ​your offense has scored zero points, you probably should keep the hot-dogging to a minimum. 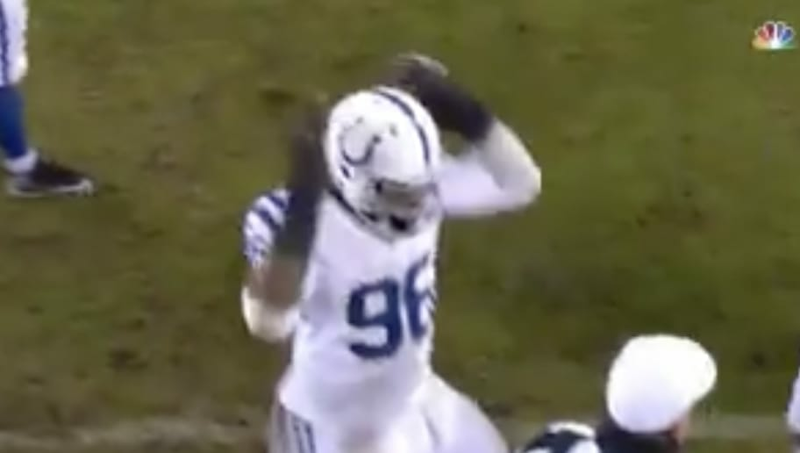 But don't tell that to Colts pass rusher Denico Autry, who though it wise to bust out some hip-shaking dance moves right up in the referee's grill in the third quarter on Saturday. He was promptly flagged for 15 yards. Just so, so incredibly dumb. And to make matters worse, this occurred immediately after the Colts D had produced a stop on fourth down. The moment was so absurd and inexplicable that it even approaches the stature of the great Hingle McCringleberry. Autrey didn't even get three pumps. Either way, it's a shame.